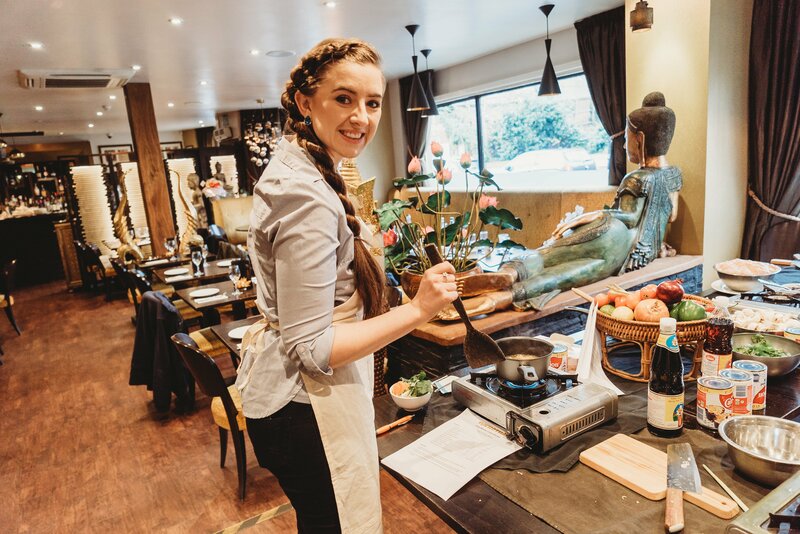 A few weeks ago I shared my Sukhothai Leeds date night experience and was so excited to be asked to attend one of their special Sukhothai Masterclass Experiences. Jon and I are no professional cooks but we had the most wonderful 3 hours making and eating a Thai starter and Main. Our session had about 14 people in the class and was very informative. There were so many staff around to answer any questions we had. 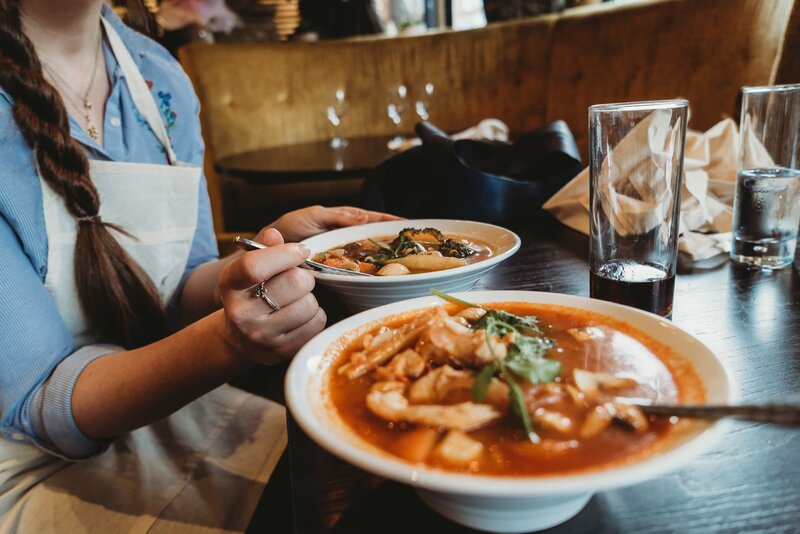 We started off by making our starter, Tom Yum Hot and Sour Soup. Most had Chicken but I had the vegetarian option of mushrooms, carrot and broccoli instead. Throughout the presentation, we were taught a lot of new techniques and then put them to use. For our main couse, we went on to cook Pad Nam Prik Pao Gai. Again I substituted the chicken, using prawns this time. Not only was this a lot of fun to make, I loved cooking with my husband in this class, but it was absolutely delicious. The wonderful Sukhothai staff made sure that we understood everything so that we could go and make this at home. 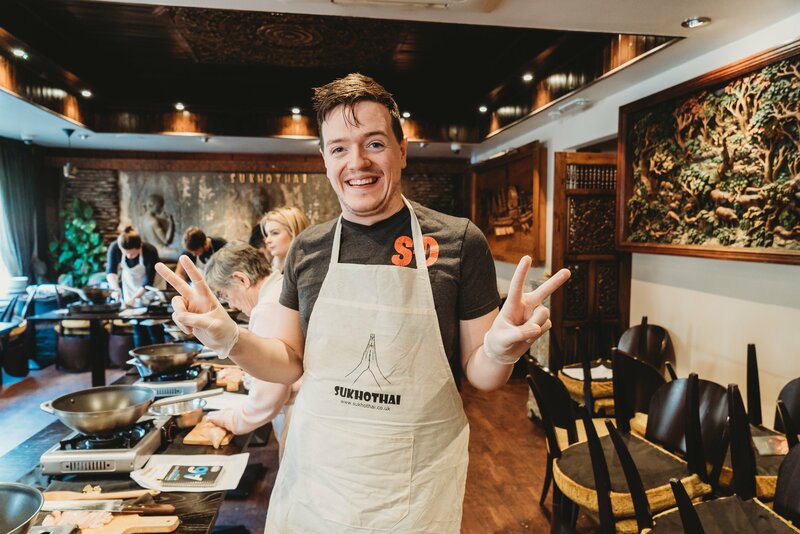 We were given the recipes that we used to take home as well as our Sukhothai aprons to keep, a Sukhothai bag and some Thai dips to try. The staff members were wonderful and we not only had a lot of fun but learnt a lot too. 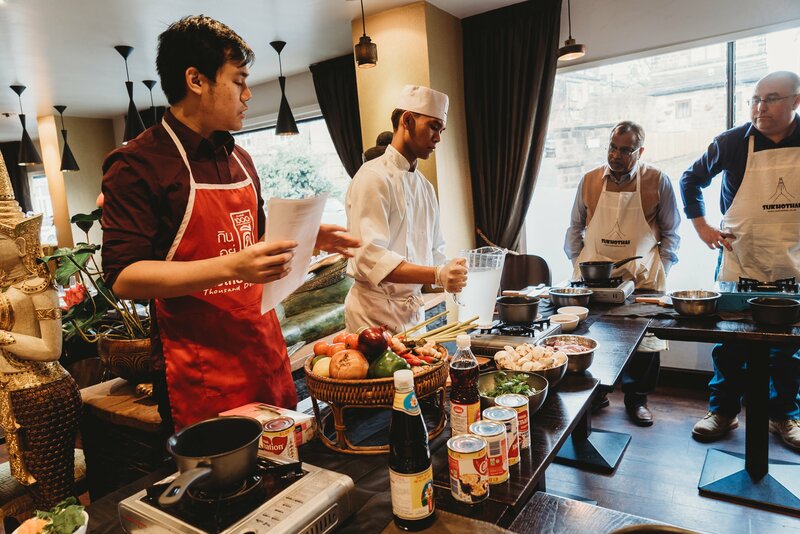 Our food was absolutely delicious so we have already been to the Chinese Supermarket, armed with our ingredients list, and recreated these dishes at home for our family. 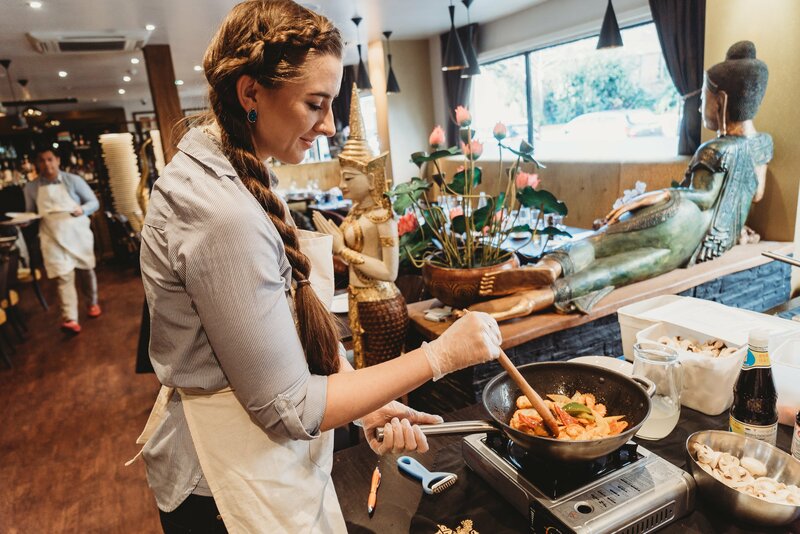 It was such a wonderful experience, we will definitely be keeping an eye out for their next classes to learn how to make a few more different Thai dishes! 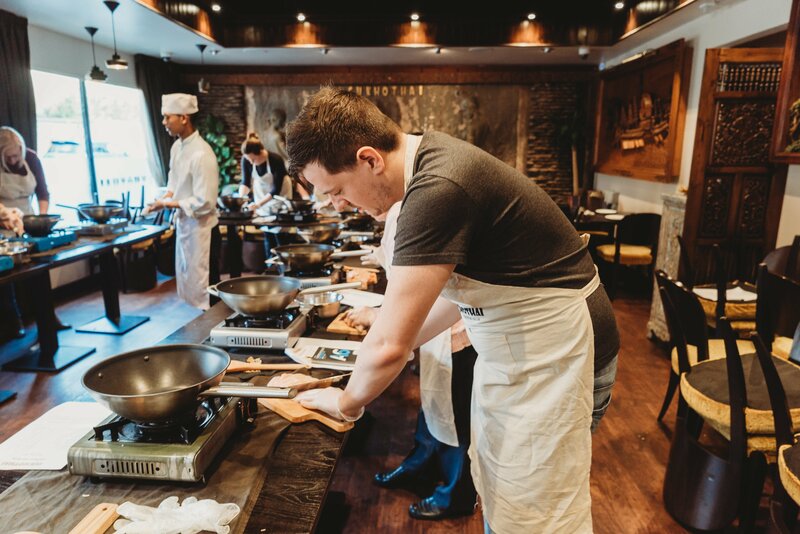 Have you ever experienced a cooking masterclass? What would you recommend we try next? Next Post Pearly Whites: What Can You Do To Get The Perfect Smile?